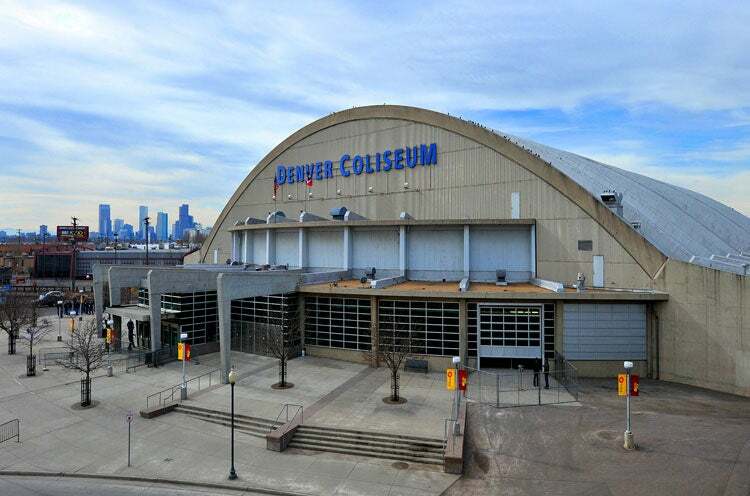 Want to know more about Denver Coliseum and other free events around Denver? Sign up for the Arts & Venues Newsletter. Celebrating its 60th birthday in 2012, the Denver Coliseum is probably best known for proudly hosting the National Western Stock Show and the PRCA “Indoor Rodeo of the Year” each January. Since 1952, the Coliseum has seen thousands of cowboys, bulls, horses and mutton busters come through the stalls. But these walls have also hosted rock legends including The Rolling Stones, The Who and Led Zeppelin. For more information, visit the Denver Coliseum's official website.